Any ideas as to who built these trailerable houseboats? I am trying to figure out what kind of trailerable houseboat this is? I have very little information about it other than a picture. It was registered in 1979 and left to sit in the woods. Basically I can describe it, and I hope someone has an idea who built these so that I can look up more information. It's powder blue, and it has a really big engine, and it says Mercruiser on the wheel house. It's hull is one big fiberglass shell, and it looks more like a tub boat then anything. Let me know if any old timers have a clue as to what houseboat manufacturer I would even search to find out more about these boats. Well Dr Jack, to help you get started, I would need to mention that "Mercruiser" is the type of engine that it has. Possibly you could get the serial number from the engine and see if Mercruiser Mercury Marine dealer can help you find which houseboat manufacturer bought these engines. It's possible that it was a replacement engine that was put in afterwards. I'm not sure which brand or make, or who built these houseboats, but possibly the "past" houseboat manufacturers list will help to narrow down some of the builders. Lastly, hopefully some of our readers will know for sure, and they will share and post comments about which model of houseboat this is? Comments for Any ideas who built these Trailerable Houseboats? 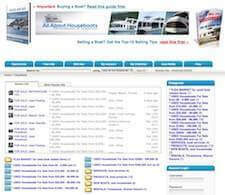 do internet search for cobia houseboat. We have decided to sell our Cobia MMY. I'd like to see you get it since it came from your family. Sorry not to have checked back sooner to see that you are on here. We have a MMY that is available if you are interested. It has a finished shower booth behind the dinette. Very original but needs restoration. It is in Jerome, Az. if that isn't too far away for you. Id like to sell it to you as the son of the designer. These boats are so cute.. everybody loves it. There should be a Muppet movie starring a Cobia MMY !! YES I would love to have more photos of the Floa-Tel like I have. I'm missing the aft area engine hatch cover. I see a few other owners VACHOT in comments section bout can't figure out how to contact them from this web site. 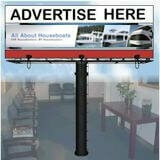 I have posted my boat on the Classic Traileravle Housboats in Yahoo Groups and Traierable houseboats on Face Book. I hope to make contact so I can get the info to restore mine. Thanks! I own one and it still has the name tag on the boat over the front door. Mine is about 23' long and 8' wide and has a 4 cylinder Mercruiser. I would love to see more photos of your boat as mine is missing the aft engine rear deck area. 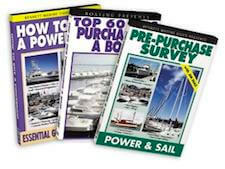 Look up High Country Canvas & Marine Inc. in 30512 area code. Cobia MMY never had that much of a flat bottom hull. 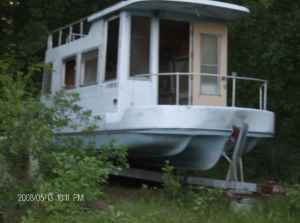 I am restoring one of these Floatel houseboats in Kalamazoo. If anyone else has info to share or would like to see pictures of this contact me at vachotpan on the gm channel. The pictured boat isn't a Cobia MMY, I seen the the first one being built and it was pretty well identical to the production models. I think the others are right about it being a Flotel. 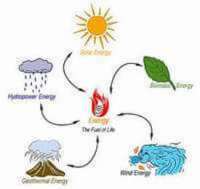 Anyone ever hear anything else? The hull isn't right for a Cobia unless this was a prototype or something. There's no hull id I can find on it, Mercruiser on the helm, no engine only the prop. Just bought a refurbished one of these. Trying to get it insured, but it currently has an 8hp outboard and Progressive says they don't want to insure it with that motor. Does anyone have a good suggestion for an insurance company that will insure this? 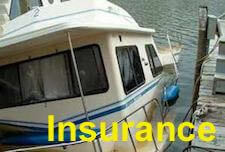 Need to get it to its new marina, and of course they need proof of insurance. Hey Dr Jack, is this old Floatel still around? I have pics of my Floatel houseboat exactly like that one at my dot com or my gee mail. I have one just like it, at least what can be seen from the photo. Made by Ashley Molded Products in Wabash, Indiana. I don't know if you will check back in here but I have a Cobia Mini Yacht in Jerome AZ now. We just bought it in New Mexico. It is missing the smoke stack. Does your Dad have any prints of the smoke stack? I'd love to make a replacement if he did. I haven't even seen one of the Cobia MMY's since the seventies and was to young when they were being designed and built to know anything much about them, but my dad Bill who is in his late 70's and in good health could maybe answer questions for you about it. 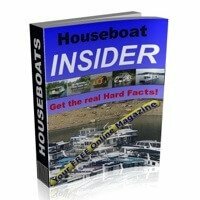 Mr Burkett, I saw the picture of the houseboat in the woods, and at first glance thought it was a Cobia mini yacht, but noticed the hull was different than mine, so I read the comments that followed, then I was amazed to read yours. That's incredible that your Father headed that project. I am in the beginning restoration of mine, I would be interested in any comments, knowledge or information trail I could seek. Is the boat in the picture for sale? Has anyone figured out the make and model on this beauty? Any way to go and get a Hull ID number off of this one? It's not a Cobia Mobile Mini Yacht, My Dad (Bill Burkett) designed and overseen the 1st production at Cobia between 1969-1970 and this is not one the hull is different but house does look similar. I would like to find one if anyone knows where to find one. This is not an Adventure Craft. This is a Cobia houseboat, and it came with a inboard. I'm redoing one now, cool little rig. I think it is a Mobile Mini-Yacht. I believe it was built by Cobia Boats back in the early 70's. Make of Houseboat - what brand of boat? It looks like an Adventurecraft to me. These are still being built.